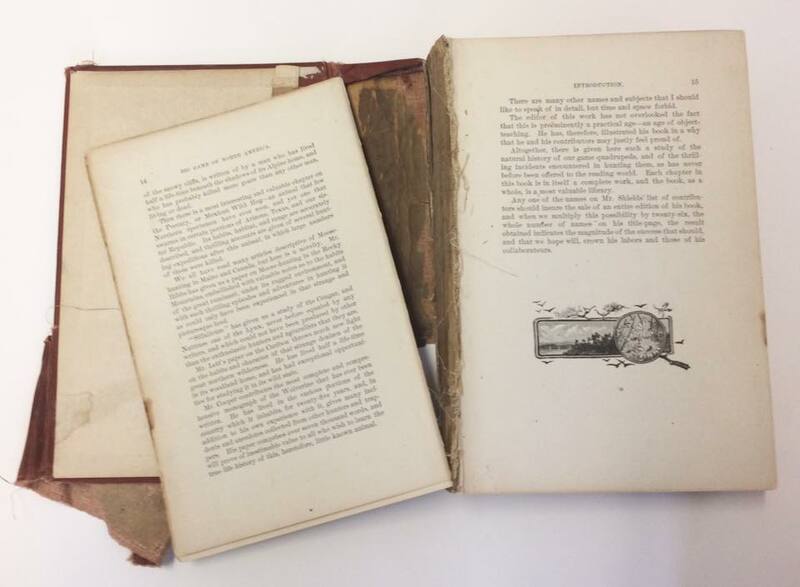 See before and after photos of a few examples of our book repair work. All book rebinding is hand-crafted to your custom order. Leather Bible Examples - For rebinding, we work mainly with goatskin, but also with pigskin and premium morroccan calfskin. 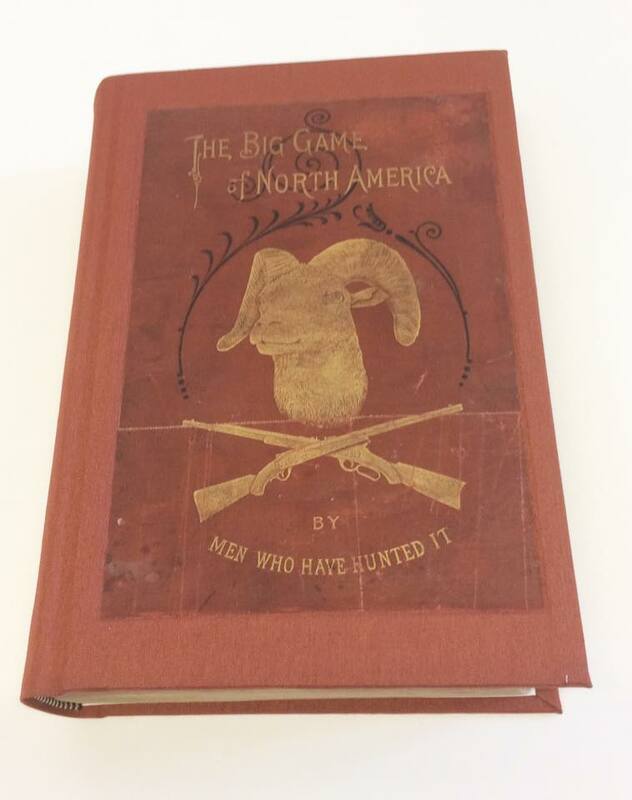 Each is available in a wide variety of colors and imprinting is available on the spine and covers. 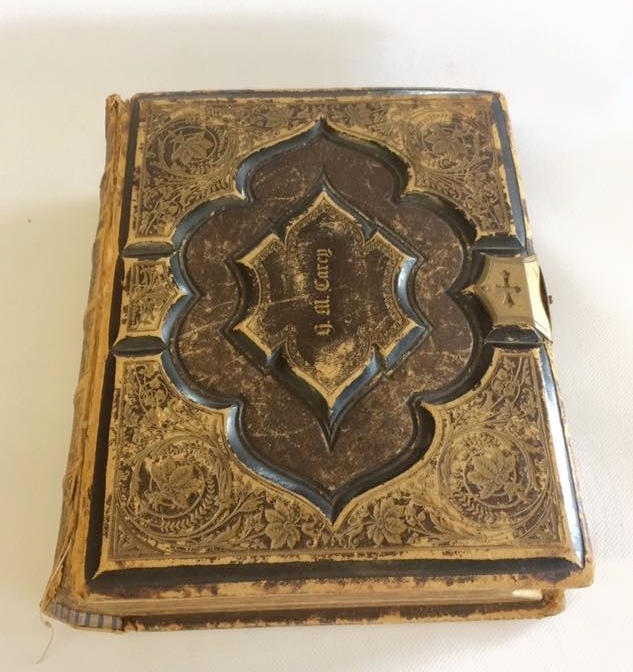 Family Bible - Original spine preserved, leather dressing applied, color restoration applied. 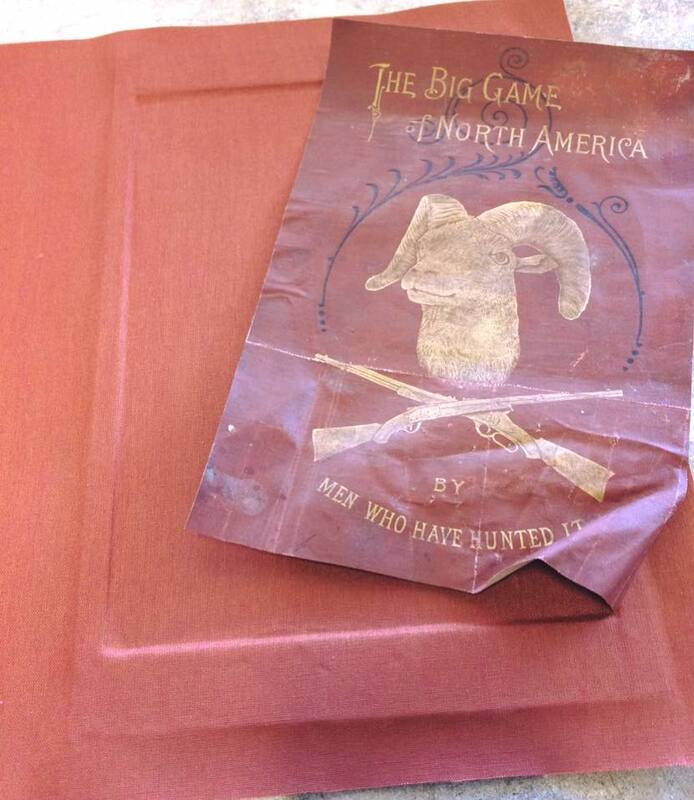 The Big Game of North America - Book Repair. Photos left-to-right: Before, in need of resewing, preserving original cover piece, and finished product with cover inlayed in "bed". County Atlas - 3/4 Leather Binding. Full resewing on cords and original cover material applied as front cover label. Bible Recase - Original covers used and ribbon detail added. Good catch before more repair was needed. 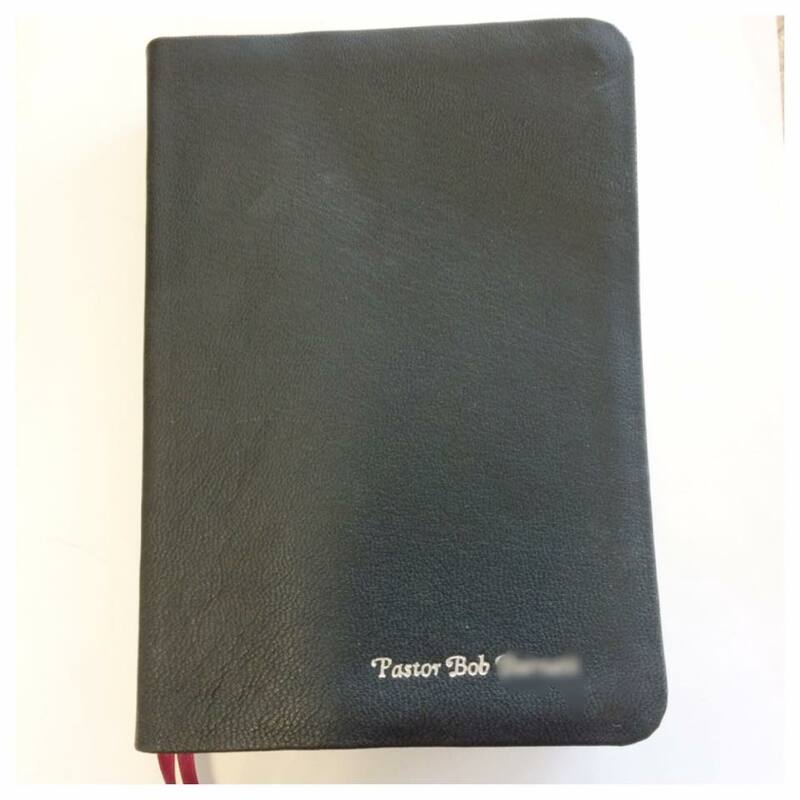 Journaling Bible - Recovering and matching journal. The Swiss Family Robinson - Leather goatskin reback with added map end pages, ribbon and charm. Wenzel's Menu Maker - Basic cloth rebinding and recovering. Pages ironed out and tipped in. Old Photo Album - Velvet spine reinforced inside, rebound, book cloth hinges applied throughout for repair and reinforcement and whole album was brought back to fully functional. Old Hardcover Bible - Upper photos are before, lower photos are after restoration. Rebacking with leather, cover restoration, original spine saved, tissue repair on pages. Assorted Custom Journals - Lined paper or unlined. Colors, paper, ribbons made to order.